Firefighters contained a three-alarm vegetation fire near a residential neighborhood Sunday evening in South San Jose. 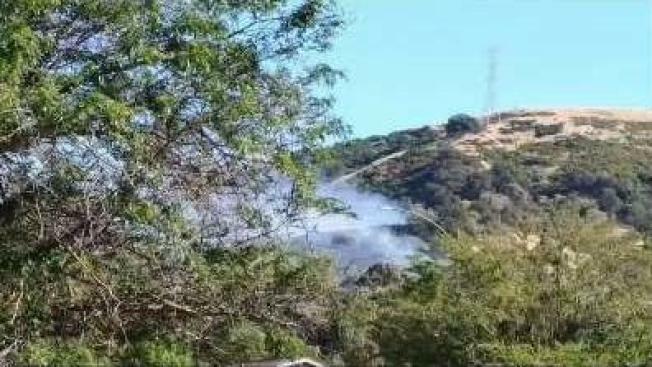 The 16-acre fire, which was reported just after 5 p.m., burned near Keeler Court and Avenida Espana, off Santa Teresa Boulevard, Cal Fire officials said. Santa Teresa County Park and Santa Teresa Golf Course are nearby. At about 9:10 p.m., the blaze was contained to 16 acres, Cal Fire said. No injuries were reported, and the cause of the fire is under investigation.